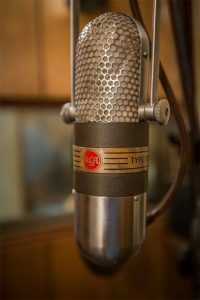 The mic is a colloquial name of a Microphone used to convert sound into electrical signals for usage in radio and television broadcasting, sound recording, motion pictures, computers, telephones, public address systems for concerts, music shows, and the like. Nowadays, Microphones are divided into different types based on Transducer principle, diaphragm size and intended usage also divided on how sound waves are converted into electrical energy. A wide range of Microphones is available in the market, more or less fall under these following three types. In Dynamic Mic, a wire coil is connected to rubber or plastic disk, which vibrates for converting sound into electricity. The coil moves to and fro over a magnet resulting in an electric current. 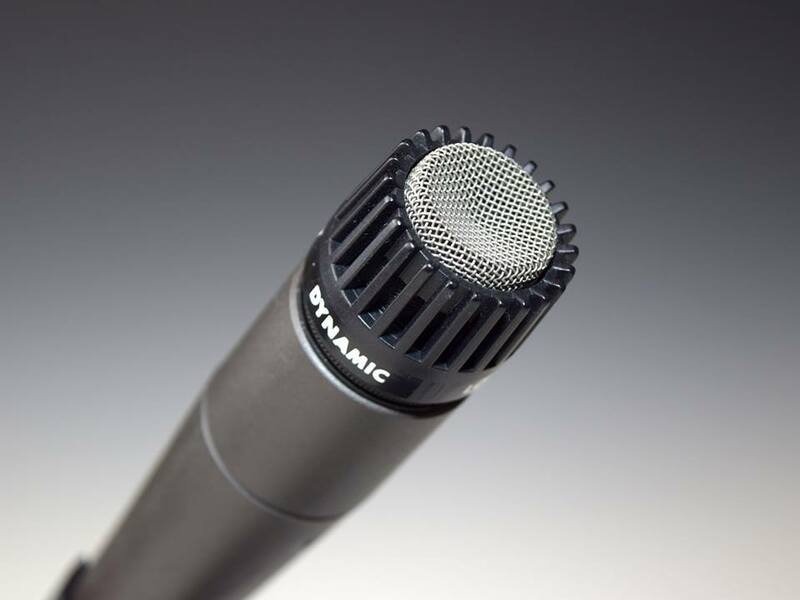 As regards the usage in the music industry, Dynamic microphones are best used for low frequency equipment such as drums and electric guitar cabs. Dynamic microphones are cheaper than rest types of Microphones. Since they can handle loud sounds, they are very popular during live and on-stage shows. Ribbon Mic also goes by the name ribbon Velocity Microphone. Here, electromagnetic induction is produced by placing electrically conductive ribbon made of aluminium, Nano film or duralumin between magnetic poles. This microphone has a standard 8 polar pattern. Popular among professionals for record or catch extremely sensitive sounds. It is the best for in single room multi-instrument step-up. Ribbon microphones can pickup vintage vibes from vocals, piano, strings, and Choir and woodwind instruments. They are bi-directional i.e. picks up sounds on both sides. Ribbon Microphones are expensive than the rest of Microphones. Newer types of Microphones approached into the market late. One of them is the USB microphones introduced in the year 2005. These microphones become popular with increase in media content via Bedroom studios and Podcasting. Easier to use, just plug and play on laptop or tablets even! The Condenser Mic consists of two small metal plates placed near to each other. An electric field is created between them. Sound waves hitting the metal make them vibrate and cause electric signals. Condenser Microphones have found applications in the music instruments for high frequency instruments such as Piano, Acoustics guitar and Cymbals. In both the Microphones, Diaphragm records the vibration. The Diaphragm is small and lighter in Condenser Microphones. Due to this smaller details and softer sounds are easily recorded by condenser Microphones. Condenser Microphones are more expensive as compared to Dynamic ones. They are more preferred by voice-over artists, singers, instrumentalists, and Audio and podcasters. Of course there are a plenty of options in this category too and you can choose the best condenser microphone from below provided options. • Connectivity – USB do not require external power, XLR require external power sometimes Phantom power. • Additional accessories – Audio interfaces with instruments, shock stands, Mic stands and wind screens. Condenser microphones use a capacitor to convert acoustical energy into electrical energy. Technically it is follows sound waves of all frequencies more accurately than rest of microphones. The large diaphragms microphones come with an additional feature of border frequency response while Condenser microphones provide the better transient response than others. Condenser microphones are famous for Sensitivity. As a result they give the magical results for vocals and other musical instruments. They feed more easily than dynamics microphones. As already discussed Condenser Microphones has a capacitor with a light material plate that acts as a diaphragm, which vibrates by the sound waves and changes the distance between the two plates of the capacitor. As the distance decreases, the charge current occurs. The voltage of the capacitor is required by an external phantom power. Phantom power is from an external source by the audio interfaces. Condenser microphones have XLR connectivity. The counterpart USB microphones do not require any external power. Condenser microphones work seamlessly with all applications, especially in a home recording studio. Be careful about the SPL (Sound Pressure Level) rating of condenser microphone. The wrong pressure point can harm it. The rating can be checked with an SPL meter too. Make sure the phantom power button is off before you plugged in the condenser microphone cable. The high voltage can injure your battery. Variety of condenser microphones is available in the market. Microphones may be of different shapes and sizes. But the best condenser microphones have large diaphragms, wider frequency, and the sensitivity feature. The price varies for condenser microphones with the quality factor. An optimum budget is needed to buy one for a small music studio. Condenser microphones are made for you if want to record vocals at a deeper sound. The large diaphragm of the best condenser microphones will add flavor to your recordings. If you want accessories with your condenser microphone, here is an array of them: Mic stands, Windscreens, Audio interfaces, shock mounts and a lot more. It also depends on the amount you want to put in. Hence, In short the best Microphone for studio owners and vocalist is Condenser microphone. After getting so much information about the condenser microphones, I am sure; you might have a craving to have them in your studio. Setting up a home recording studio has a long checklist to complete and the most important part of it is a condenser microphone in your studio. The best condenser microphones are easiest to handle and more durable than the dynamics one. A condenser microphone is one of the most important elements in making a video with voice, creating a cover and many other similar things. 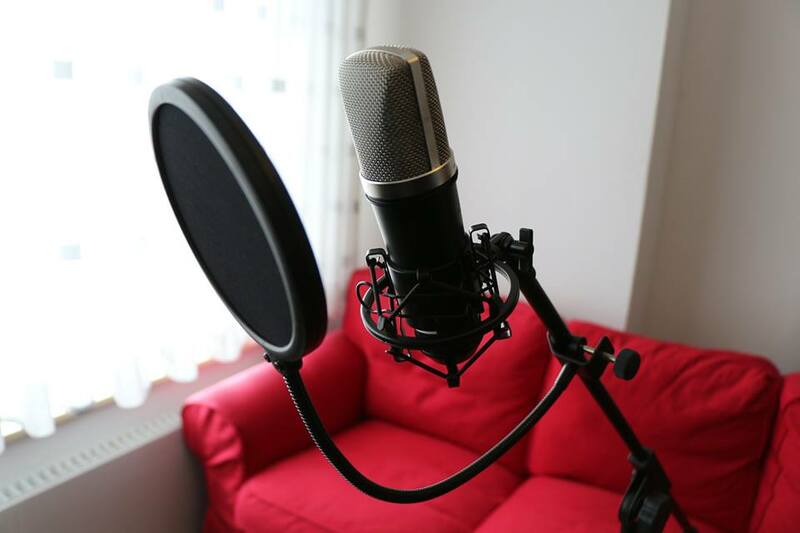 Therefore, it is essential for you to put up a bit of effort before you make your mind to buy a microphone and Decision of buying a condenser microphone will be a good effort but ultimately depends upon your requirement of Microphone.